Levels of antiphospholipid antibodies, which are associated with rheumatic diseases, are also elevated in myocardial infarction without any autoimmune co-morbidity, a study from Karolinska Institutet in Sweden published in Annals of Internal Medicine reports. Antiphospholipid antibodies (aPL) are a group of antibodies that target endogenous tissue, including the fat molecule cardiolipin and the plasma protein β2glycoprotein-I. Cardiolipin is found in the membranes of blood vessel and blood platelet cells, whereas β2glycoprotein-I is found in the blood and is thought to help the body rid itself of dead cells. The antibodies are common in rheumatic diseases such as SLE and increase the risk of blood clots. 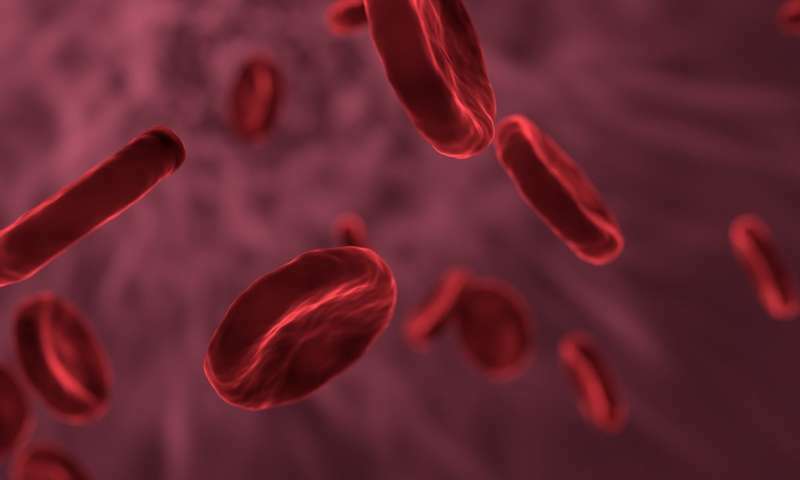 Antiphospholipid syndrome (APS) is an autoimmune condition characterised by recurrent blood clots and/or pregnancy morbidities together with chronically elevated levels of antiphospholipid antibodies. "I've long been convinced that the antibodies are more common than we think, and have now been able to analyse their presence in a large patient population," says Elisabet Svenungsson, professor of rheumatology at Karolinska Institutet's Department of Medicine in Solna. The study involved 800 patients from 17 Swedish hospitals who had suffered their first myocardial infarction and as many matched healthy controls. Their blood was then analysed six to 10 weeks after the infarction for three different antiphospholipid antibody types: immunoglobulin G (IgG), M (IgM) and A (IgA). It was found that 11 percent of the patients had antiphospholipid antibodies against both cardiolipin and β2glycoprotein-I, which was 10 times more than the controls. "It was a surprisingly high proportion of the patients, and the levels were also clearly high," says Professor Svenungsson. However, the increase was only found in the IgG antibodies, the type that is considered most associated with blood clots. The measurement was done on one single occasion, so it is not impossible that it reflects a temporary reaction to the infarction. However, if the levels of antiphospholipid antibodies remained elevated for a further three months, by definition, these patients have APS. "In this case, they should, according to current recommendations, be prescribed lifelong treatment with the anticoagulant warfarin, which reduces the risk of new blood clots," says Elisabet Svenungsson. "This would change the prevailing guidelines for the investigation and treatment of heart attacks."